A Texas Defensive Driving Course Can Get That Traffic Ticket Dismissed Today! Everything’s bigger in The Lone Star state of Texas, even the traffic ticket fines. Luckily, you don’t have to settle for high fines and points on your license. Debtor’s Prison isn’t for you and you don’t have to take skyrocketing insurance premiums lying down. You can get yourself enrolled in a Texas Defensive Driving Course and stop the madness before it starts. And the better news is you don’t have to do it in a classroom, you can do it online in your own home. So first, know that you can take a Texas Defensive Driving Course only for violations currently pending with a court. This doesn’t work on old tickets you plead guilty to a year ago and already paid the fine. The time to act is when you just received the ticket. In that case, the very first thing you want to do is ask the court for permission to take a Defensive Driving Course. You can ask for permission by calling the court, appearing in person or even writing to request traffic school. When you do that, you will plead guilty or no contest to the charges against you. You must hold a valid non-commercial drivers license [no CDL drivers]. Violation did not occur in a construction zone. Once you’ve enrolled in a Defensive Driving Course and successfully completed it, you’ll receive a certificate of completion from your school. Texas requires your certificate of completion be physically mailed to you [no emailed copies] so be sure to complete the course with enough time for it to get to you [or pay for expedited delivery]. The court may also require a copy of your driving record so try to plan accordingly to get a copy of that as well. You’ll either mail your certificate and driving record to the court or turn them in in-person. Either way, if you’ve done all this you’ve gotten your ticket successfully dismissed! 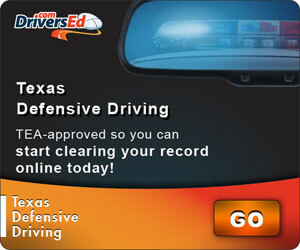 For a fantastic online traffic school, I recommend DriversEd.com’s Texas Defensive Driving course. See link below for special pricing.